Habitat: Prairie fen complex on state and county land. Several small lakes and a man-made channel runs through it. The main complex is mostly sedge meadow and peat mounded seep. 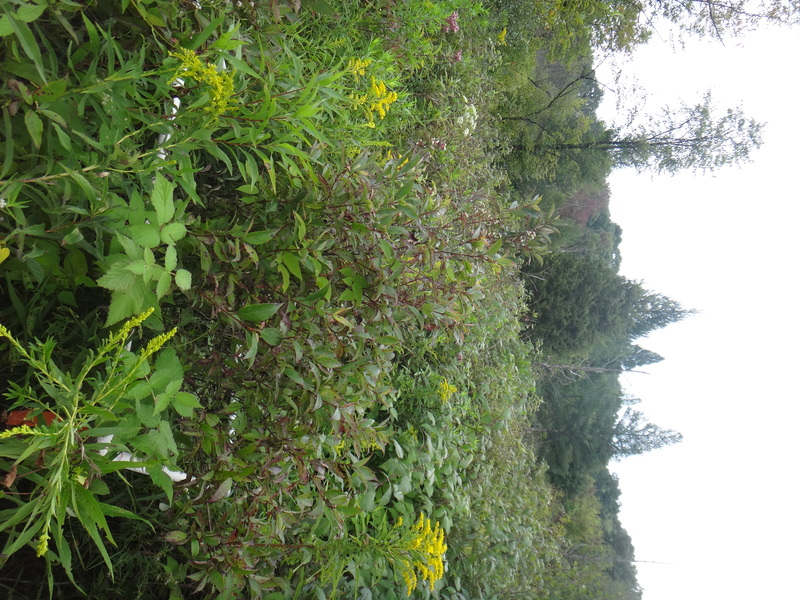 There is some encroachment by shrubs, trees, and a few invasives (Phragmites, Phalaris arundinacea, Rosa multiflora, Typha angustifolia, T. x glauca). There are also large colonies of Typha latifolia intermittant. Prairie fen dominated by Carex, Poaceae, and Asteraceae such as C. sterilis, C. bumbauxii, C. stricta, Solidago ohioensis, S. rugosa, S. uliginosa, S. altissima, Sorghastrum nutans, Schizachyrium scoparium, and Bromus ciliatus. Other prominent species include Dasiphora fruticosa, Toxicodendron vernix, Valeriana uliginosa, Apocynum cannabinum, and Thelypteris palustris. Some past management of woody cutting, invasive spraying, and burns. Evidense of recent burn in western patches. In central-western portion of main prairie fen section, 130m east of western wooded border, 5m north of line of 6-8m tall Larix laricina, on downward slope toward Typha area and channel. Shrubs 1-2m tall dominate area. Cornus, Rubus strigosus, Betula pumila, and Toxicodendron vernix. 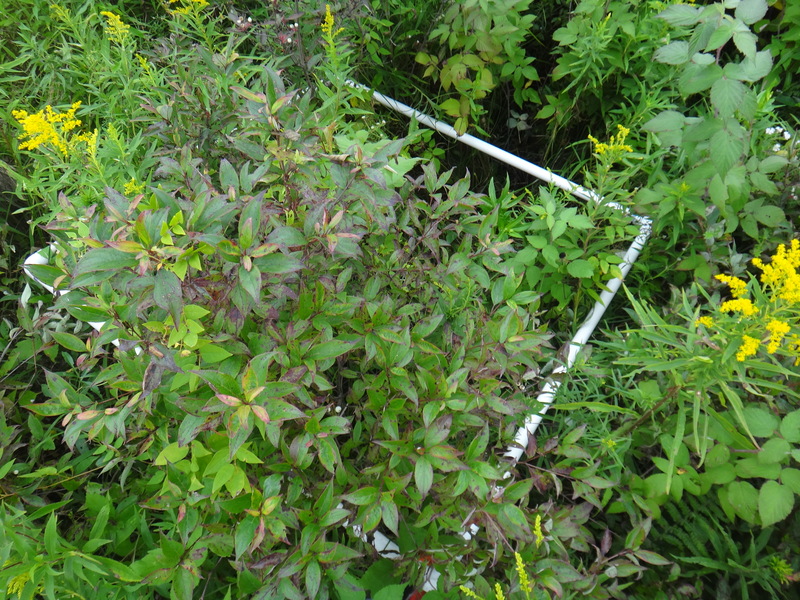 Solidago and occasional tall herbaceous species intermittent. Ground sloped to east and moist.